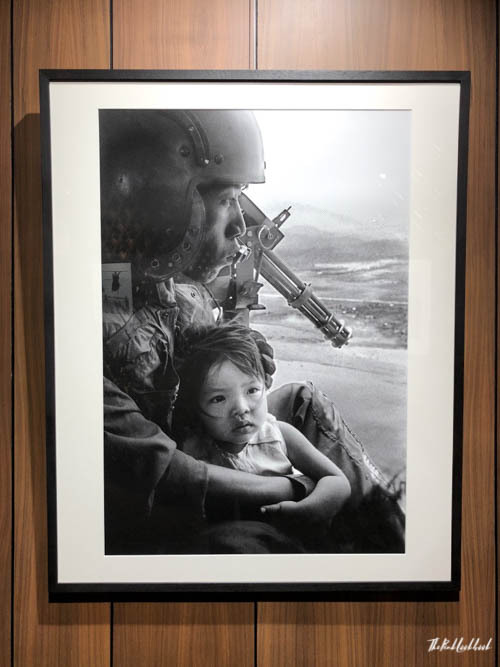 Recently, I stumbled upon a really interesting article in the Bangkok Post about a photo exhibition in Bangkok. 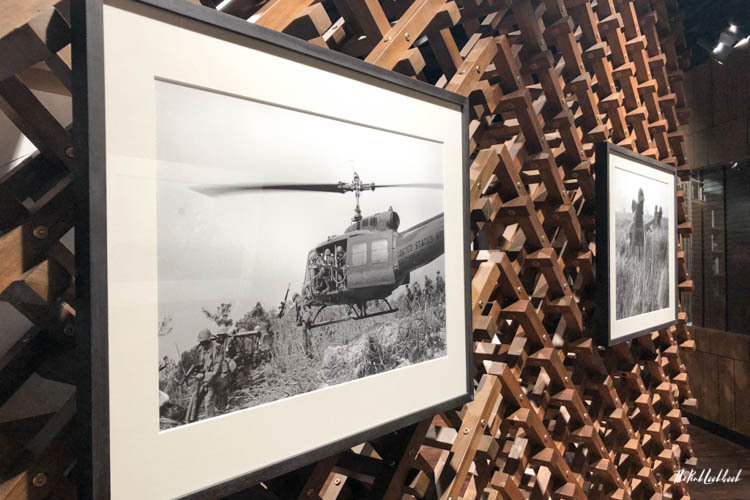 I am always on the lookout for new galleries and shows and this one sounded very special: a photograph which changed the course of the Vietnam war is the centre of a current exhibition at the Leica Gallery in Bangkok’s Gaysorn Village mall. On 8 June 1972, a napalm bomb was dropped on Trang Bang Village in Vietnam. Nick Út, who had been documenting the Vietnam war, happened to be in the vicinity and saw people fleeing the village. He took out his camera and started taking pictures. And one of those pictures became world famous: a 9-year old girl, her skin covered in heavy burns was running out of the dust cloud towards him amongst a group of people. 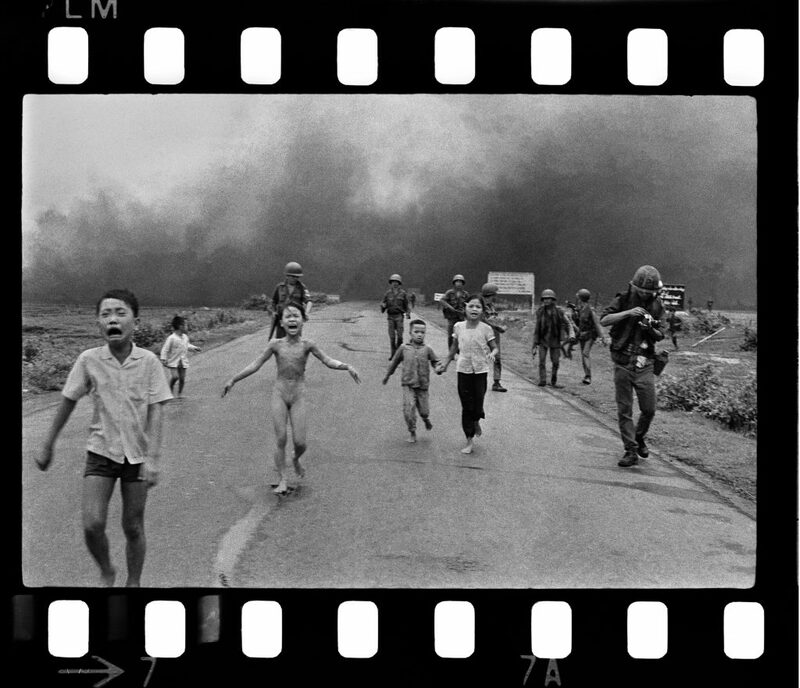 “Napalm Girl”, officially called “The Terror of War”, was on the front pages of newspapers worldwide. Even today, 46 years after its publication, the picture causes deep emotions and debate. Út has taken thousands of pictures throughout his career, including red carpet events and celebrity trials (O.J. Simpson, amongst others). 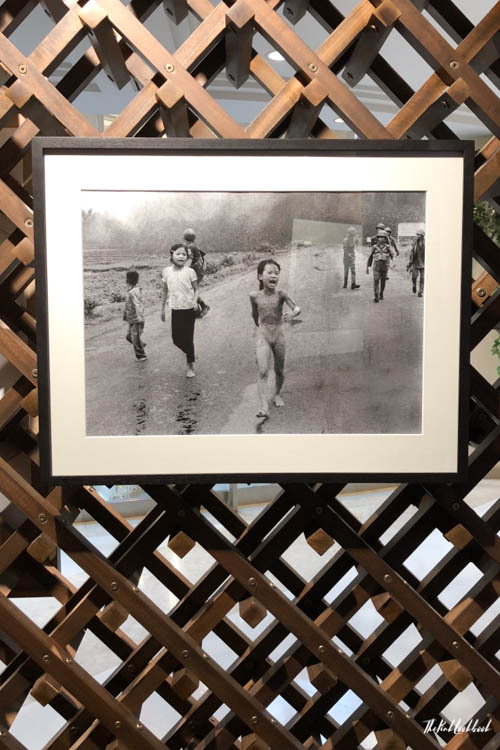 However, the “Napalm Girl” photograph has always been his most iconic one. Út was heavily influenced and inspired by his brother, a Vietnamese movie star who was shot dead by the Viet Cong. His brother had started his career as a camera man and introduced Út to photography. 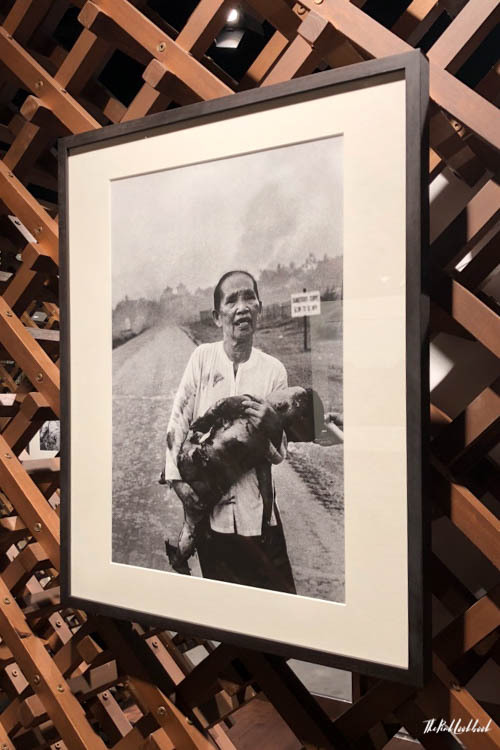 According to an interview in the Bangkok Post on 13 February 2018, Nick Út and Phan Thị Kim Phúc, the girl depicted on the photo, are still in touch. I found it really interesting to see further images taken by Út during the war. I have to admit, it is difficult to watch the cruelties, but I found it really moving and eye-opening. 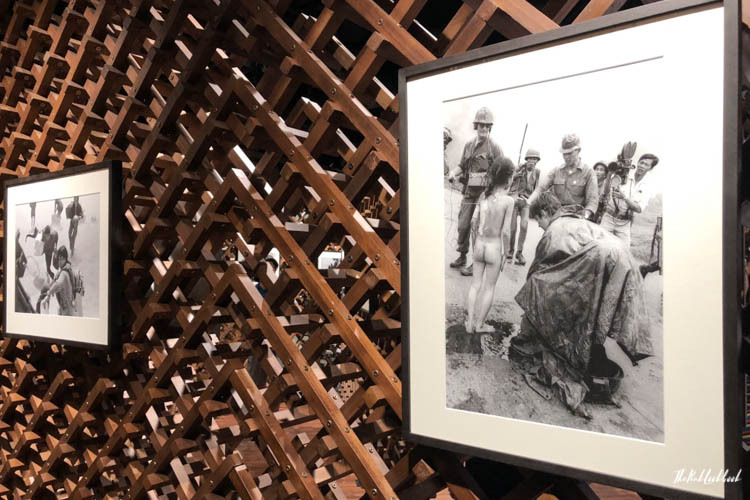 The infamous “Napalm Girl” photograph, along with 24 further pictures of the Vietnam War are now exhibited on the occasion of the launch of the Leica Gallery. The exhibition is open until 30 April 2018. If you are in Bangkok, I highly recommend stopping by. It is once-in-a-lifetime chance to see these originals and it is a truly moving experience. 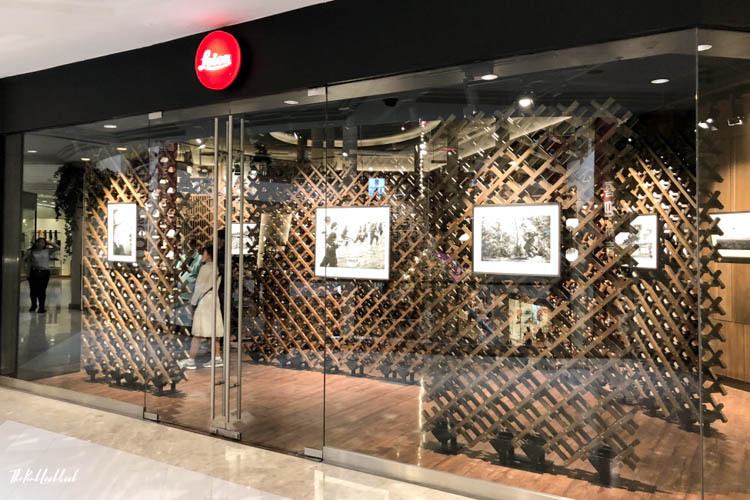 Sources: information provided at the exhibition at the Leica Gallery and the Bangkok Post, The man with history in his lens, published on 13 February 2018.